George Fredrick Augustus Ruxton explored the American Southwest in the frontier days, representing British diplomatic and commercial interests. 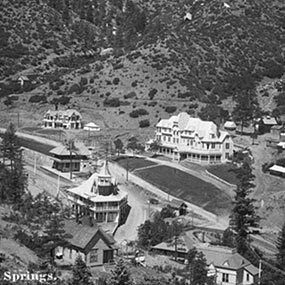 In the Spring of 1847, he passed through Manitou Springs and wrote extensively about his adventures in the foothills of Pikes Peak. 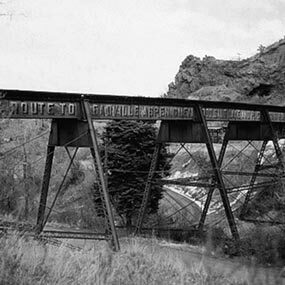 Ruxton Creek, flowing out of Englemann Canyon and one of three major drainage basins converging in Manitou Springs, was named in honor of the Englishman. 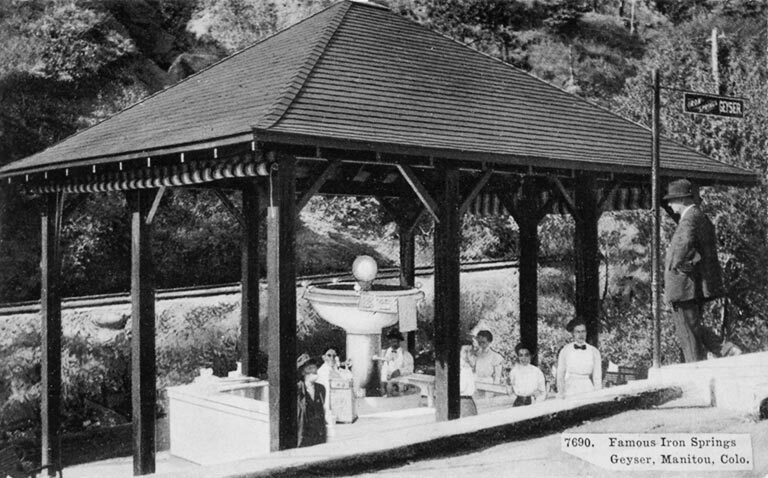 Advertised as “The Only Chalybeate Springs in the West,” iron-rich waters emitting from the mineral springs along upper Ruxton Creek became known as “The Strongest of Tonics.” The first considerable construction project began in 1889 along upper Ruxton Avenue with the building of the Manitou & Pikes Peak Cog Railway that reached the summit of Pikes Peak in 1891. 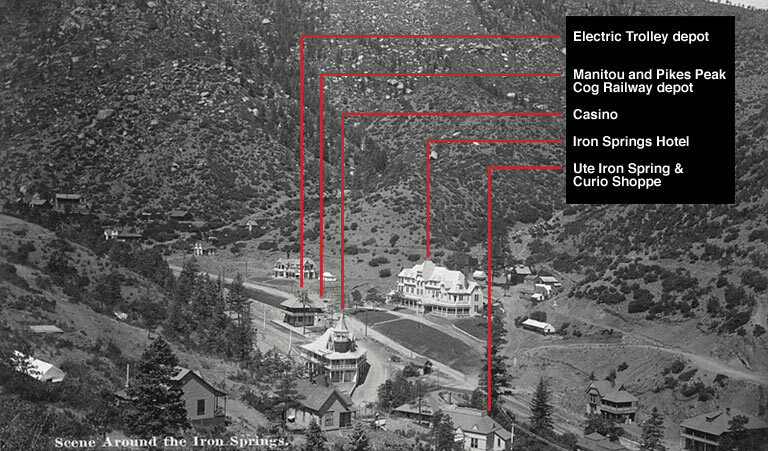 Then in 1895 an electric trolley line was built from Manitou Avenue to the Cog Railway depot. 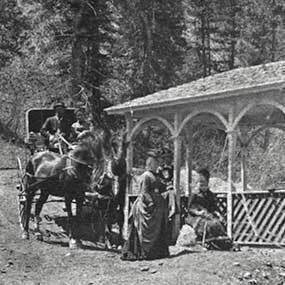 Joseph G. Heistand, a photographer, mineralogist, and taxidermist found himself spending summers in Manitou Springs beginning in the mid 1880s. 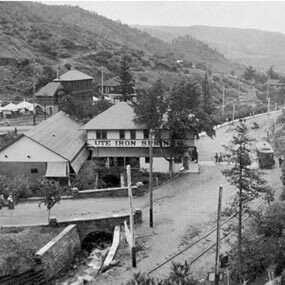 After the completion of the Ruxton electric trolley line, Heistand, who was an avid collector of mineral specimens, opened up a retail shop just below the Manitou & Pikes Peak Cog Railway depot. No tourist stopover was complete without a visit to Heistand’s curio shoppe. 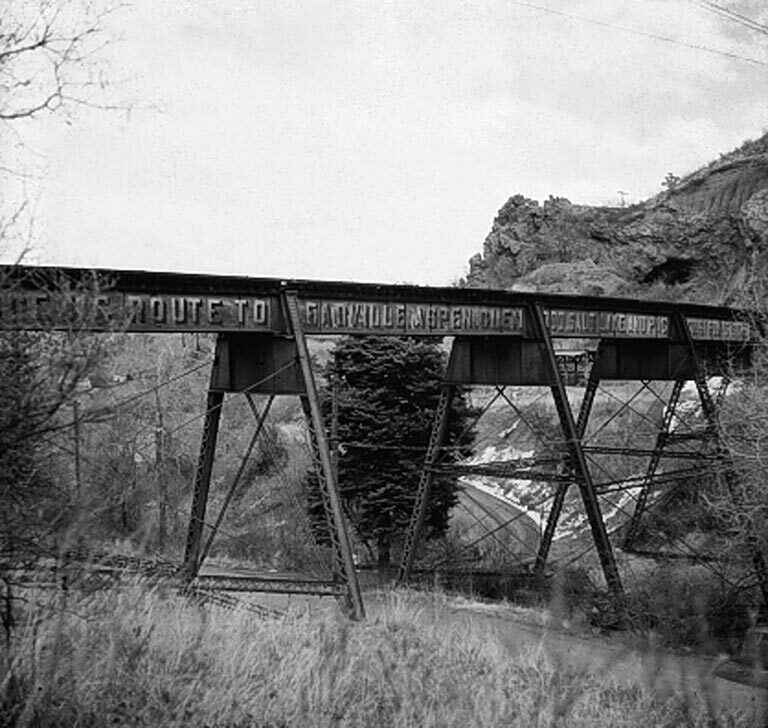 In 1886, the Colorado Midland Railway brought more railroad activity to upper Ruxton Avenue and built a viaduct over the trolley line, creek, and road to the bustling upper Ruxton resort and tourist destination. 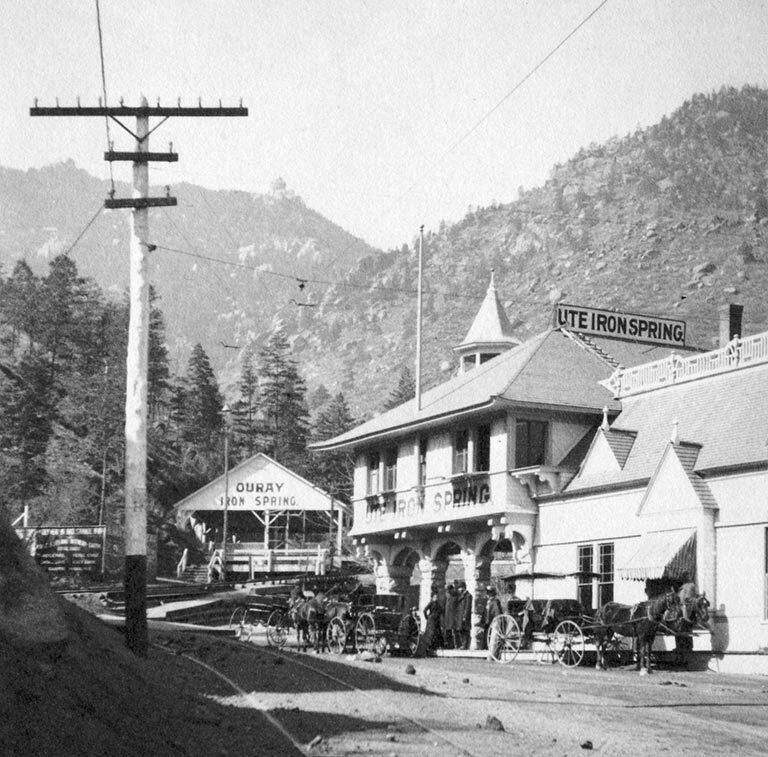 Around 1900, Heistand relocated to Manitou Springs year-round, and his entrepreneurial spirit moved him to purchase another upper Ruxton asset, the Ute Iron Spring. 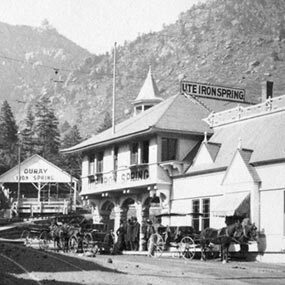 He developed a new pavilion and the nearby Iron Springs Hotel. 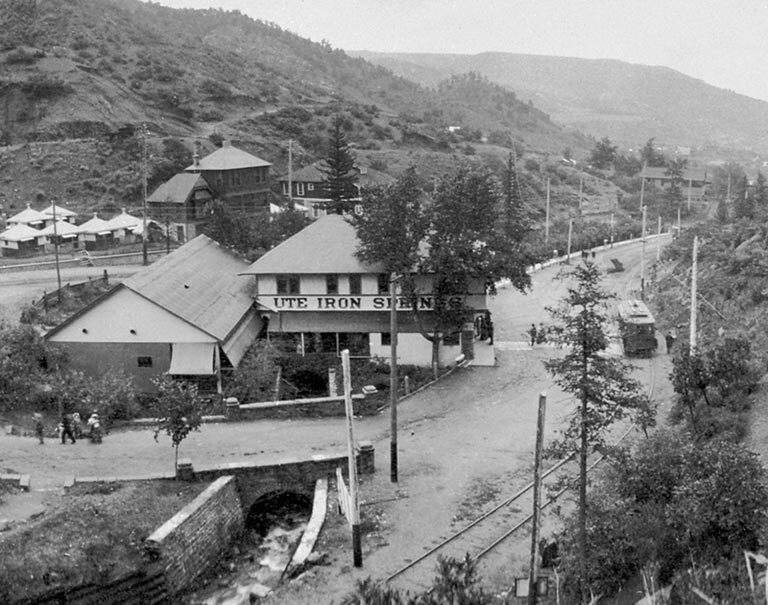 Heistand’s ambition didn’t wane as he acquired the summit house on Pikes Peak and became the official photographer for the Manitou & Pikes Peak Cog Railway. 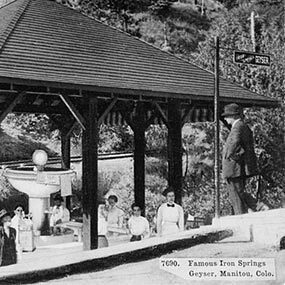 Manitou’s iron-rich mineral waters along the upper Ruxton corridor drew hundreds/thousands of tourists and health-seekers. 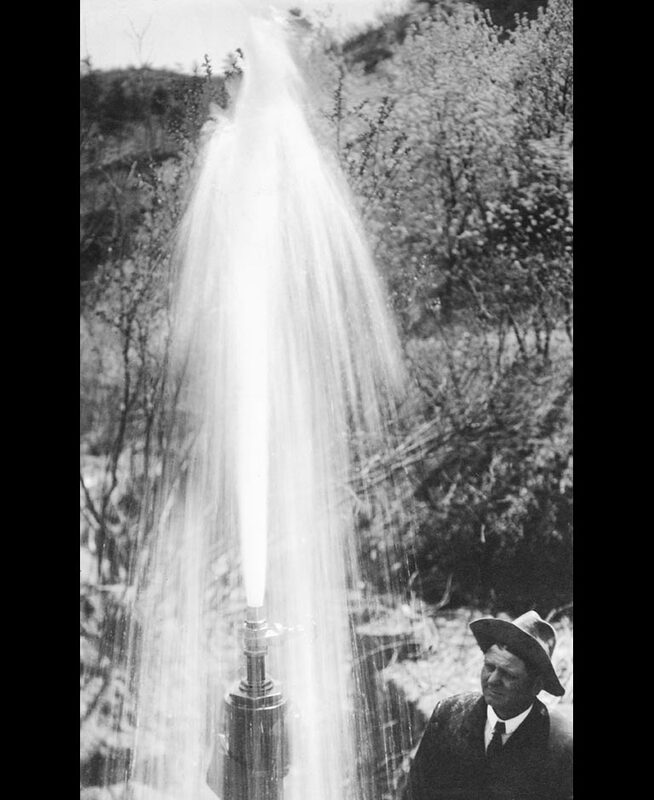 In 1910, Heistand seized yet another opportunity and drilled Iron Springs Geyser, adjacent to the electric trolley line just upstream from the Colorado Midland Railway viaduct. 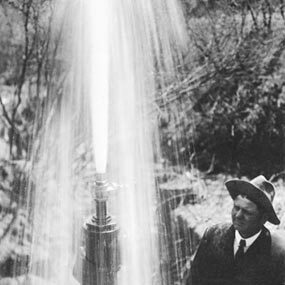 The new Iron Springs Geyser well was fitted with a hand-blown glass font showcasing the effervescent spring waters and housed under a hip-roof style pavilion. 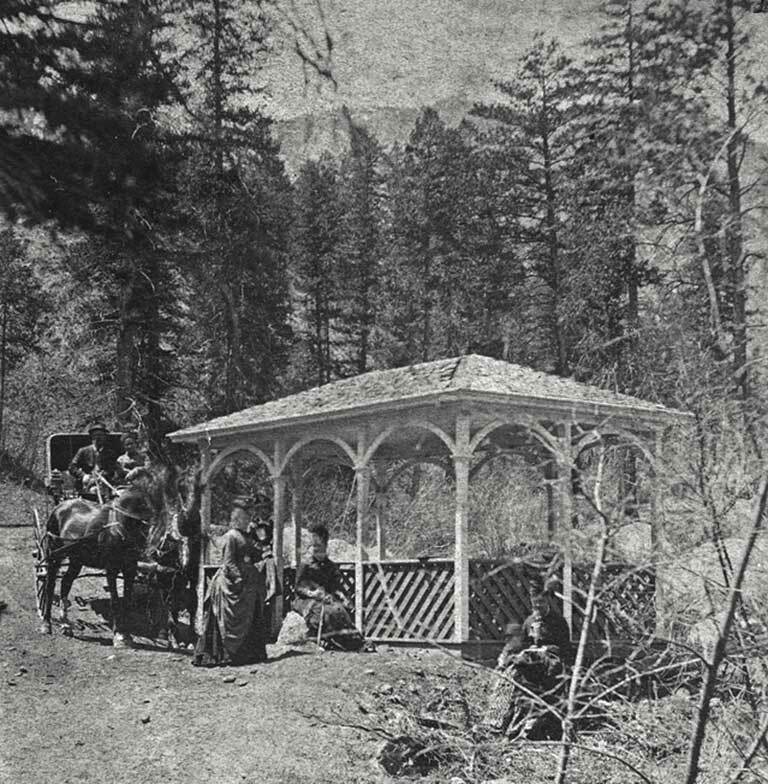 Today speculation surrounding the Iron Spring Geyser’s pavilion suggests it may be the oldest, standing structure sheltering a mineral spring within the state of Colorado. Remains of the Colorado Midland Railway’s viaduct piers can still be seen in the creek bed just downstream from the Iron Springs Geyser. 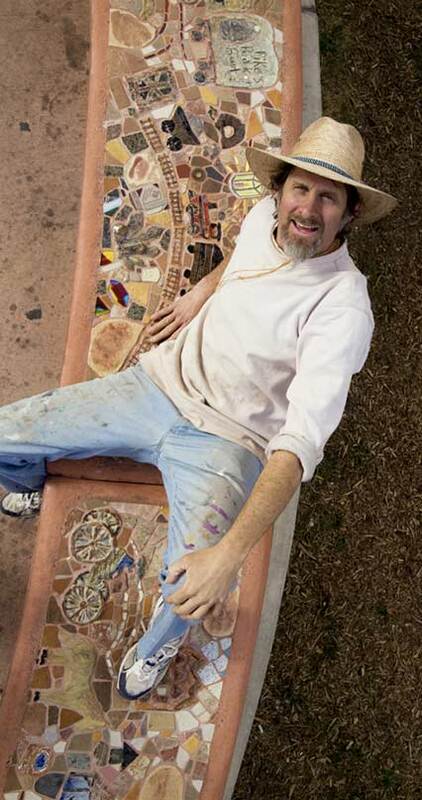 My design of Iron Springs Geyser’s font alludes to the Ute Pass fault, the resulting springs and properties of iron, magnetism, rusting, metabolism, and the richness of colors derived from ferrous materials. The dynamic form symbolizes the energy and force beneath one’s feet at the geologic intersection of the Ute Pass and Englemann Canyon faults. The curved-metal delivery pipe echos the curvature of the concrete cylinders that make up the base of the font and the circular metal access panel on top. The concrete cylinder was a technical, design feature which provided my starting point. The top, surface tile work reflects the patterning of iron filings when exposed to magnetic forces. While in the design process, I envisioned the iron mineral spring deposits would build up on the basin and surrounding areas, so I worked with a palette of reds and tans. The results over time have confirmed my vision. The font is a sculpture that is both aesthetic and functional. I designed it to be visually strong and provide an easy supply of water to a vessel. 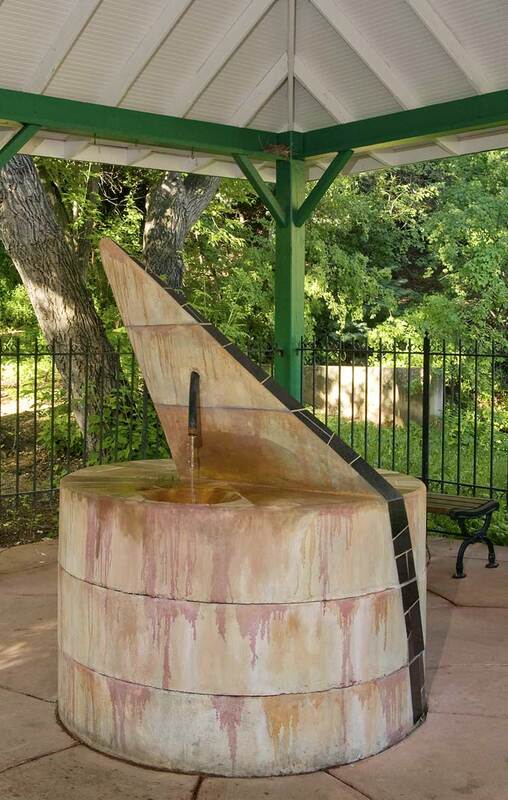 The Iron Springs Geyser’s site is lovely and visitors find it relaxing in the pavilion, filling canteens, and enjoying the ambience of Ruxton Creek.